Make baking cookies a breeze with The Cookie Jar. We provide the mix; just add in butter, eggs and vanilla, and you'll get soft, chewy cookies instantly. It you prefer your cookies baked, you can also order our homemade cookies that come in elegant tin cans. What a great idea to give for Christmas, something new, something fresh and something good. I've had the liberty of having tasted "The Cookie Jar" cookies and they are good!!! Thumbs up!! No need to go to your pastry shop just to get your fix of delicious cookies, just pop up the jar, mix the ingredients, baked it then wallah!! Home made baked cookies in a flash, who would thought baking cookies could be this easy. 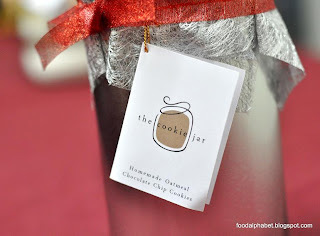 Order "The Cookie Jar" for your friends and families to enjoy this Holiday Season. Packaged in a perfectly arranged bottle of ingredients, will be a nice gift indeed. 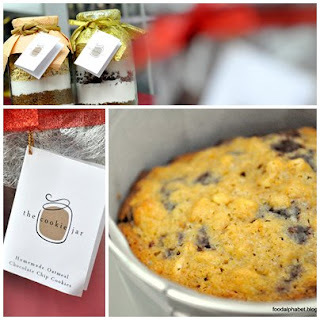 Or buy the baked Home-made cookies in a classy tin container, perfect for the Holidays! !